Whenever you think of New Zealand there’s usually one thing that springs to everyone’s minds – Lord of the Rings! Peter Jackson, a native kiwi himself wanted showcase his beautiful home country in the spectacular Lord of The Rings and Hobbit films that he felt were perfect to portray “Tolkien’s “middle earth”. This really created a lot of tourism hype for the film locations within New Zealand – I know it did that for me! This is an exceptionally important stop-over for anyone wanting to have a slice of the real Lord of Rings experience. The famous Mount Ruapehu acting as the Lonely Mountain in the Hobbit were filmed here, along with parts of Mordor from Lord of The Rings. 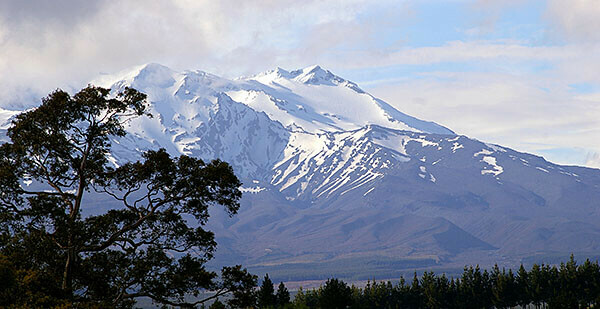 As well as absorbing this spectacular movie set, you can also trek, ski, kayak and cycle all around the Ruapehu region. The local Maori tribe, the “Iwi”, are also great to get to know, as they were involved in a lot of the planning of the sets and blessing/welcoming the film crew. If you’re a fan of the first Hobbit film “The Desolation of Smaug” you will have a grand time exploring the beautiful region of Marlborough. This is where the great scene of the dwarves escaping from the wood elf kingdom in the beer barrels was filmed – which personally made my day to visit! Waterfalls, ancient woods and giant trees are spread all over this area, along with the rare native New Zealand bats that make this awe-inspiring landscape its home. Lake Pukaki in the north of New Zealand’s South Island, plays host to some of its highest peaks and biggest alpine lakes. Etched over the ages through glaciers, this area is one of spectacular natural beauty with deep valleys and ridges. 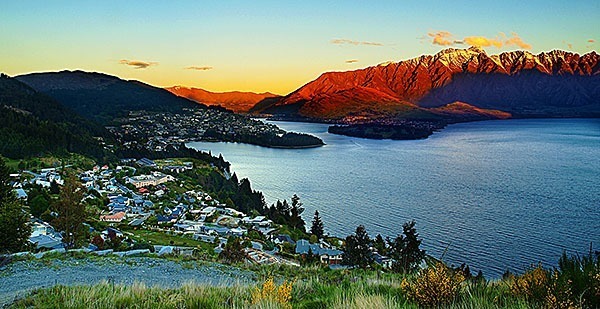 Hence why it was highly sought after as a major set location for the Hobbit’s “Lake Town”. Here you can spend your days hiking, cycling and skiing around this breath taking region. By night you can look up to the dark heavens and star gaze at the Aoraki Mackenzie International Dark Sky Reserve which is the world’s largest international park. Miles and miles away from city lights and pollution you have a plethora of stars just waited to be gazed at and spotted – truly a magical experience. The mysterious Beorn in the Hobbit books was always one of my favourite characters as he caused the most intrigue, due to his being able to morph into a bear. Now you can visit his house that is located way out back in snowcapped mountains of Queenstown. Marvel at the huge detailed wooden carvings and furniture in Beorn’s beautiful house and admire the real back drop of the countless misty mountain roads, which have also featured in the Lord of The Rings films too. Visiting New Zealand is the ultimate holiday experience for any Lord of The Ring’s or Hobbit fan. But never fear even if you’re not too into Lord of The Rings, New Zealand still has some of the most spectacular scenery that you will have days of enjoyment exploring and having adventures through. Last updated by jack on 24 June, 2014 in Travel.